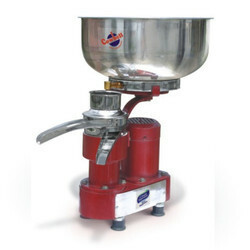 Prominent & Leading Manufacturer from Ambala, we offer 60 lph plastic cream separator, 60 lph hand operated cream separator, 60 lph electrically operated cream separator, 100 lph hand operated cream separator, 100 lph electrically operated cream separator and 165 lph hand operated cream separator. Capacity of Milk Tank 8 Ltr. Approx. 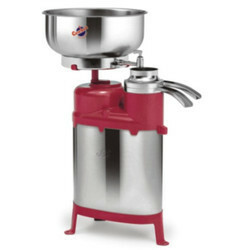 This is an Electric Version of 60 LPH Cream Separator which separates Cream from Milk. 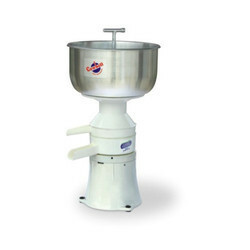 It combinesease of Electric Separating with durability of Stainless Steel Bowl and spinning bowl. Rated at 60 quartsper hour, the electric separator takes the Guess work and labour out of separating. Plugs into commonhousehold current ( 220 or 110 ). All parts that come into contact with milk are dishwasher safe for easeof Cleanup. This separator will add value to your small farm / kitchen / small milk dairy.The machine isshipped directly from the factory and is supplied with set of spare parts, spare O-rings, float ,neck springand Instruction Manual in English. 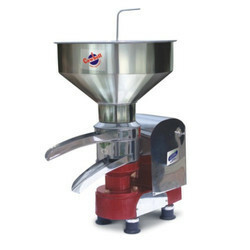 This Cream Separator is Hand Operated which separators cream from Milk. The capacity of the machineis 60 LPH (15 Gallons Per Hour). This simple, efficient and well balanced Manual Cream Separator willhold 8 quarts of Milk which is ideal for domestic / kitchens / small farms. This is an economical anddurable cream separator that’s easy to assemble and operate. All parts that come into contact with milkare dishwasher safe for ease of Cleanup. The machine is shipped directly from the factory and issupplied with set of spare parts, spare O-rings, float, neck spring and Instruction Manual in English. 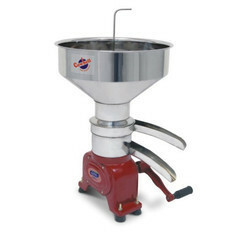 Thissmall Cream Separator will add value to your Farm / Kitchen. 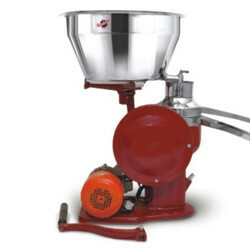 Cream Separator CS-7-SSE combines ease of Electric Separating with durability of Stainless Steel Bowland spinning bowl. Rated at 60 quarts per hour, the electric separator takes the Guess work and labourout of separating. Plugs into common household current (220 or 110). All parts that come into contactwith milk are dishwasher safe for ease of Cleanup. 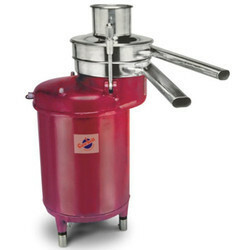 The Cream Separator is ideal for people having Smallfarms / cows / goats and also it adds value to your kitchen. The machine is shipped directly from thefactory and is supplied with set of spare parts, spare O-rings, float, neck spring and Instruction Manualin English. This Cream Separator is Hand Operated which separators cream from Milk. The capacity of the machineis 100 LPH (25 Gallons Per Hour). This simple, efficient and well balanced Manual Cream Separator willhold 8 quarts of Milk which is ideal for domestic / kitchens / small farms. This is an economical anddurable cream separator that’s easy to assemble and operate. All parts that come into contact with milkare dishwasher safe for ease of Cleanup. The machine is shipped directly from the factory and issupplied with set of spare parts, spare O-rings, float, neck spring and Instruction Manual in English. 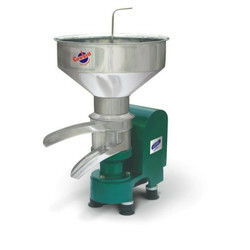 Thissmall Cream Separator will add value to your Farm / Kitchen. 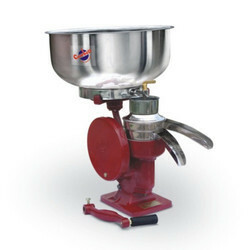 Cream Separator CS-8-SSE combines ease of Electric Separating with durability of Stainless Steel Bowland spinning bowl. Rated at 100 quarts per hour, the electric separator takes the Guess work and labourout of separating. Plugs into common household current ( 220 or 110 ). All parts that come into contactwith milk are dishwasher safe for ease of Cleanup. 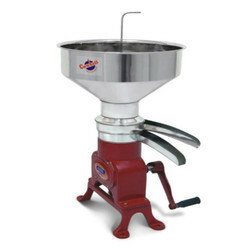 The Cream Separator is ideal for people having Smallfarms / cows / goats and also it adds value to your kitchen. The machine is shipped directly from thefactory and is supplied with set of spare parts, spare O-rings, float, neck spring and Instruction Manual inEnglish. Capacity of Milk Tank 18 Ltr. Approx. Cream Separator 165 LPH (40 Gallons) dynamically balanced; having separation Capacity of 165 Litersper hour is ideal for small farms. It is best suitable for cow’s or goat’s milk. You can make your ownbutter, cheese, ice cream with the fresh Cream you get from separation. The machine is shipped directlyfrom the factory with complete spare parts such as o ring, float, neck spring and Instruction manual inEnglish. 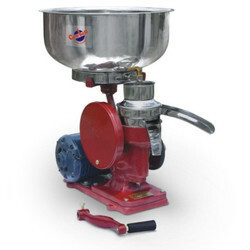 Cream Separator CS-165-SSE combines ease of Electric Separating with durability of Stainless Steel Bowland spinning bowl. Rated at 165 quarts per hour, the electric separator takes the Guess work and labourout of separating. Plugs into common household current (220 or 110). All parts that come into contactwith milk are dishwasher safe for ease of Cleanup. The Cream Separator is ideal for people having Smallfarms / cows / goats and also it adds value to your kitchen. The machine is shipped directly from thefactory and is supplied with set of spare parts, spare O-rings, float, neck spring and Instruction Manual inEnglish. Optional The Machine can also be operated by Hand in case of Power Failure. Cream Separator 165 LPH (40 Gallons) having separation capacity of 165 Liters Per Hour is ideal for smallfarms. It is best suitable for Farms/Dairies/People having Cow’s/ Goats. It combines base of ElectricSeparating with durability of Stainless Steel Bowl, The electric separator takes the guess work and labourout of separating. You can make your own butter, cheese, ice cream with the fresh Cream you get fromseparation. The machine is shipped directly from the factory with complete spare parts such as o ring,float, neck spring and Instruction manual in English. Capacity of Milk Tank 28 Ltr. Approx. Cream Separator 300 LPH ( 75 Gallons ) having separation capacity of 300 Litres Per Hour is ideal forsmall farms. It is best suitable for Farms/Dairies/People having Cow’s/Goats. It combines Base of ElectricSeparating with durability of Stainless Steel Bowl, The electric separator takes the guess work and labourout of separating. You can make your own butter, cheese, ice cream with the fresh Cream you get fromseparation. The machine is shipped directly from the factory with complete spare parts such as o ring,float, neck spring and Instruction manual in English. Cream Separator 300 LPH (75 Gallons) having separation capacity of 300 Liters Per Hour is ideal for smallfarms. It is best suitable for Farms/Dairies/People having Cow’s/Goats. It combines Base of ElectricSeparating with durability of Stainless Steel Bowl; the electric separator takes the guess work and labour out of separating. You can make your own butter, cheese, ice cream with the fresh Cream you getfrom separation. The machine is shipped directly from the factory with complete spare parts such as oring, float, neck spring and Instruction manual in English. This machine is ideal for commercial use. Capacity of Milk Tank 40 Ltr. Approx. Cream Separator 550 LPH (135 Gallons) having separation capacity of 550 Liters Per Hour is ideal forsmall farms. It is best suitable for Farms/Dairies/People having Cow’s/Goats. It combines Base of ElectricSeparating with durability of Stainless Steel Bowl; the electric separator takes the guess work and labourout of separating. You can make your own butter, cheese, ice cream with the fresh Cream you get fromseparation. The machine is shipped directly from the factory with complete spare parts such as o ring,float, neck spring and Instruction manual in English. This machine is ideal for commercial use. Cream Separator 550 LPH (135 Gallons) having separation capacity of 550 Liters Per Hour is ideal forsmall farms. It is best suitable for Farms/Dairies/People having Cow’s/Goats. It combines Base of ElectricSeparating with durability of Stainless Steel Bowl; the electric separator takes the guess work and labour out of separating. You can make your own butter, cheese, ice cream with the fresh Cream you getfrom separation. The machine is shipped directly from the factory with complete spare parts such as oring, float, neck spring and Instruction manual in English. This machine is ideal for commercial use. Power Source 220 V 50 Hz /110 V 60 Hz. Cream Separator 750 LPH (187 Gallons) having separation capacity of 550 Liters Per Hour is ideal forsmall farms. It is best suitable for Farms/Dairies/People having Cow’s/Goats. It combines Base of ElectricSeparating with durability of Stainless Steel Bowl; the electric separator takes the guess work and labour out of separating. You can make your own butter, cheese, ice cream with the fresh Cream you getfrom separation. The machine is shipped directly from the factory with complete spare parts such as oring, float, neck spring and Instruction manual in English. This machine is ideal for commercial use. Cream Separator 1000 LPH ( 250 Gallons ) having separation capacity of 1000 Liters Per Hour is ideal forsmall farms. It is best suitable for Farms/Dairies/People having Cow’s/Goats. It combines Base of ElectricSeparating with durability of Stainless Steel Bowl, The electric separator takes the guess work and labourout of separating. You can make your own butter, cheese, ice cream with the fresh Cream you get fromseparation. The machine is shipped directly from the factory with complete spare parts such as o ring, float, neck spring and Instruction manual in English. This machine is ideal for commercial use.